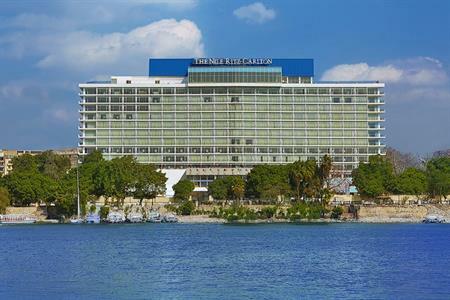 The former Nile Hilton in Cairo, Egypt, will reopen under the Ritz-Carlton brand this summer, boasting a new conference centre. The 331-room hotel is undergoing a complete renovation, but will retain many of its original features. The new conference centre will incorporate a 1,700sqm conference hall complimented by the existing Alf Leila ballroom. Other facilities at the Nile Ritz-Carlton will include an Olympic-size swimming pool with 17 private cabanas, 50 suites including the elite Royal and Presidential suites with views of the Nile, an array of dining venues and a spa. Located between the Nile and Tahrir Square, the hotel is easily accessible from Cairo’s key attractions and landmarks including the Arab League Headquarters and the Egyptian Museum of Antiquities, home to the King Tut exhibition. The nearby Qasr El Nile Bridge links the hotel to the Cairo Opera House. Hervé Humler, president and chief operations officer of The Ritz-Carlton Hotel Company, said: "The Nile Ritz-Carlton, Cairo will amplify the hotel’s classic legacy with a contemporary approach. As a brand, we are proud of instilling in all our properties, a distinct personality rooted in a sense of place and history. "By complementing the property’s natural strengths with our focus on bespoke service, diverse experiences and rich memories, we aim to reinstate the hotel as pride of national tourism in the country."